We’re a family-owned and operated HVAC company, and we have served South Texas for more than a decade. We were founded because we saw a need for trustworthy HVAC experts who would put the interests of their clients first, and we’ve never strayed from that goal. From dressing professionally to showing up on time, we do everything we can to benefit you. You’ll always have options for which services you want, as well as the ability to communicate your needs. You’ll never wonder what it is that we are doing to your system or how much it will cost. In addition to continuously training to stay on the cutting edge of HVAC technology, we’re NATE-certified, which means that we can handle jobs that other teams cannot. We truly are your ultimate HVAC solution in southern Texas. When you call, you can expect a friendly greeting from our office manager, Rebeccah, who will collect your information, schedule your service, and answer any questions you may have. 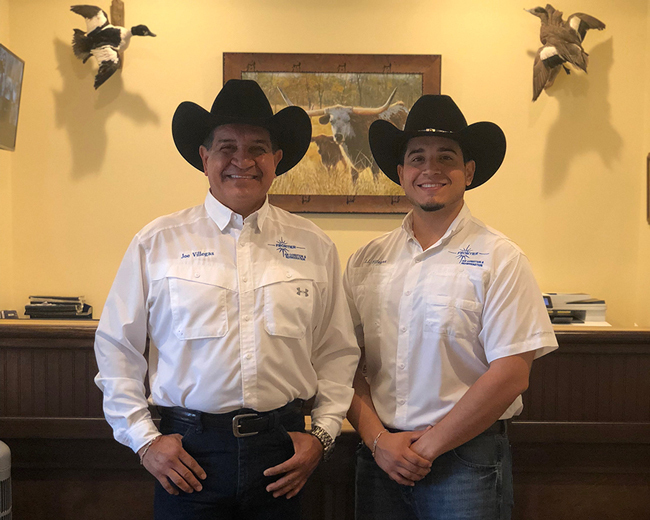 The services you need will be provided by respectful, careful technicians who have been trained and encouraged toward excellence by COO Jay Villegas and CEO Joe Villegas. We want you to breathe a sigh of relief when we arrive! Transparency, excellence, and dependability. We are on a mission to be the HVAC experts you can trust in Texas. Contact us today. Frontier was founded with longevity in mind. Joe Villegas (Owner) wanted to leave a company that would last for many generations. Mr. Villegas knew this was only possible if Frontier provided consistent, affordable, and professional work to each of its customers. Jay Villegas (General Manager) has been a part of Frontier for more than five years and has been following in the same footsteps as Mr. Villegas. The goal of company longevity has not left Frontier and it is why we continue to thrive and do whatever it takes to keep our customers satisfied and comfortable. Our office is open five days a week with staff who are happy to answer all of your questions regarding air conditioning, heating, and refrigeration. Call today or email to set up your appointment! For many years, our team of experts has contributed to our ongoing success. Our skilled technicians have the experience in the HVAC industry that you need to rest easy. They are constantly learning about the changes in parts, machines and services. Any questions you have, they’ll answer!